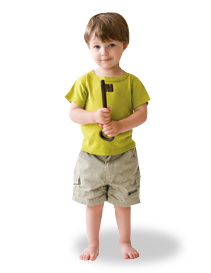 Until a few years ago our early education investments went to very traditional purposes: CDA’s, curricula, quality ratings systems and accreditation. Then, we noticed something startling! Classrooms had the equipment, adults had the words, but children (in their prime for curiosity and exploration) were often bored. We changed our model and started to put our resources into helping the people in early education uncover the unchanging truths or principles behind how children grow and develop. We also found mentors who could help teachers explore this new understanding in their classrooms. It didn’t happen right away but, before long, classrooms were transformed. Children became explorers! Teachers responded to children’s learning needs with the power in their heads and hearts rather than direction from a manual. Classrooms simply hummed with the sounds of learning! A different way of thinking about children is behind it all. We came to understand that all children are capable and richly-endowed learners, with a natural desire to understand the world around them. They need adults to keep them safe, provide rich learning environments and then step out of the way. 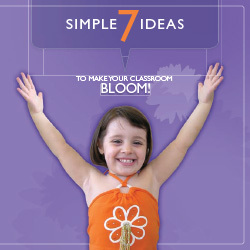 View a copy of 7 Simple Ideas to Make Your Classroom Bloom! More information for our Indiana grantseekers. More information for our Iowa grantseekers.